Friends! If You have built an Embassy, but You don’t have friends on Facebook that play in Evolution, post here a comment with a link to Your profile and You will add in friends. 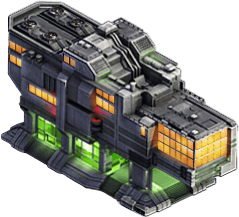 This will allow You to receive a free Crystallite (and Time Boosters with improved the Embassy) every day! How to Post a Link to Your Profile? Other links, for example: https://facebook.com/profile.php?ref=bookmark – will not work! My profile on Facebook – Add me! 8. If You can’t paste the link as above, just paste it as is in the “Commentary”, it will be recognized automatically. My profile on facebook.Just getting started, around lvl 15 at the moment. Add me to receive gifts everyday. Hey Will, which Will Guthrie are you on Facebook? Can you add me? I created a Facebook group so that we can find other people that play the game and are looking for daily players to share gifts thru the embassy with each other. This is the link to the group.